The museum provides space and programs serving senior facilities for OSHER, a nation-wide life-long learning program for those aged 55 and older, and participates in K-State’s Center on Aging Lecture Series at Meadowlark Hills Retirement Community. 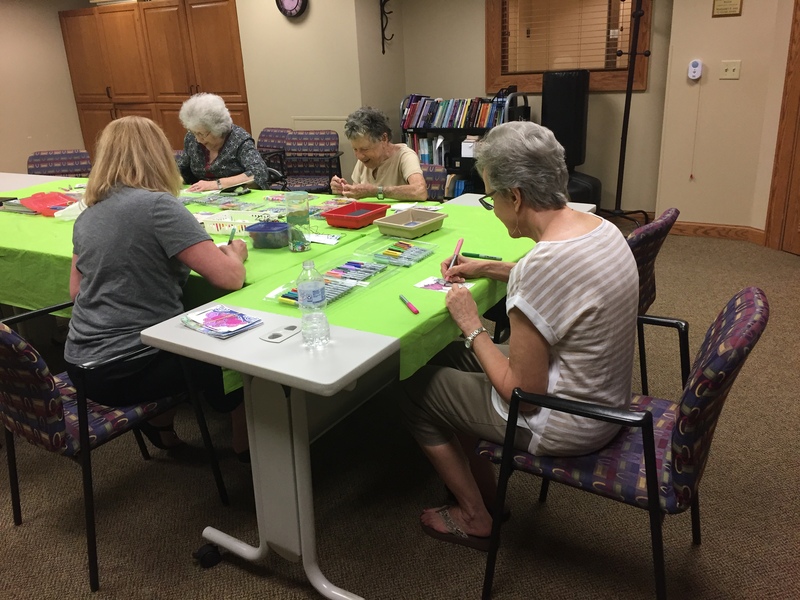 SPEEDY PD Art is part of the community-wide Parkinson’s Support Group program which meets at Meadowlark Hills. The Museum provides an annual art talk and weekly art classes during the summer. One benefit of making art for those with Parkinson’s is the production of dopamine, a neurotransmitter that becomes depleted in Parkinson’s patients. Many of the artworks produced over the summer serve as prizes for the Speedy PD benefit race held in August. ARTFul Memories at Meadowlark Hills Retirement Community is a Visual Thinking Strategies (VTS) based program. On the fourth Wednesday of the month persons with dementia and their care partners are invited to attend an interactive facilitated discussion of art images. The Meadowlark Memory Program is free and open to the public. Museum educators provide outreach and tours for Big Lakes Developmental Center. Please contact Kathrine Schlageck or Kim Richards at the museum for more information at 785-532-7718. If you are interested in learning more about Meadowlark Hills public programs for memory and Parkinson’s support contact Michelle Haub at 785-323-3899.